Hero Xpulse 200T is a touring motorcycle, built on the platform of Xpulse 200. Check out the expected prices, launch date, specifications and features of the bike. 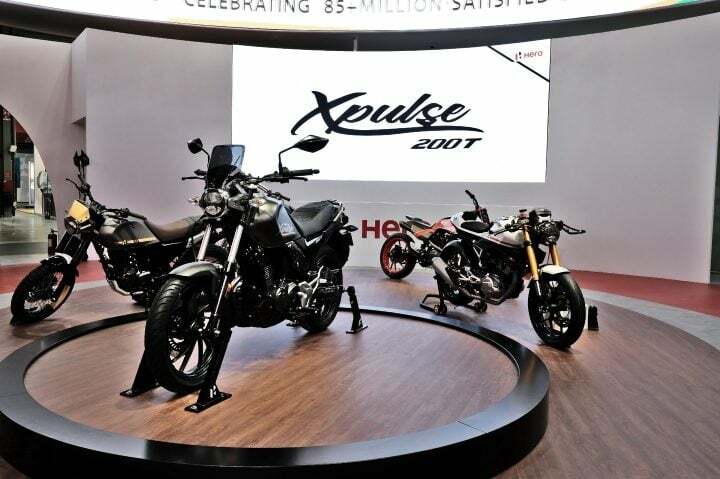 Hero Motocorp unveiled XPulse 200 ADV bike at the 2018 Auto Expo along with Xtreme 200R. However, its launch has been delayed in the market and is now going to launch in the first few months of 2019. Meanwhile, at the recently concluded EICMA 2018, Hero unveiled Xpulse 200T and a few other concepts. We have no idea of the other concepts, but Hero XPulse 200T is coming to India and will be launched with the dual-purpose Xpulse 200. Hero has confirmed that it will launch Xpulse 200T and Xpulse 200 together in the early months of 2019. The launch of Xpules 200 has been delayed a lot. We hope Hero does not delay the launch of this model. Also Read: Hero Xpulse 200 and Xpulse 200T first spy pics out! At the 2018 Auto Expo, Hero Motocorp stated that it would place most of its upcoming premium bikes around Rs 1 Lakhs. This budget would attract many buyers who are looking for a different bike near Rs 1 Lakh. So we expect the ex-showroom prices of 200T to be around Rs 1.1 Lakhs. The touring motorcycle uses a 198cc air-cooled engine, that comes in Xtreme 200R as well. The engine produces 18 BHP and 17.1 Nm of peak torque. For transmission purposes, it uses a 6-speed slipper clutch. Xtreme 200R gets a different transmission setup. As per our expectations, Xpulse 200T will deliver a mileage figure of around 40 kmpl on an average. 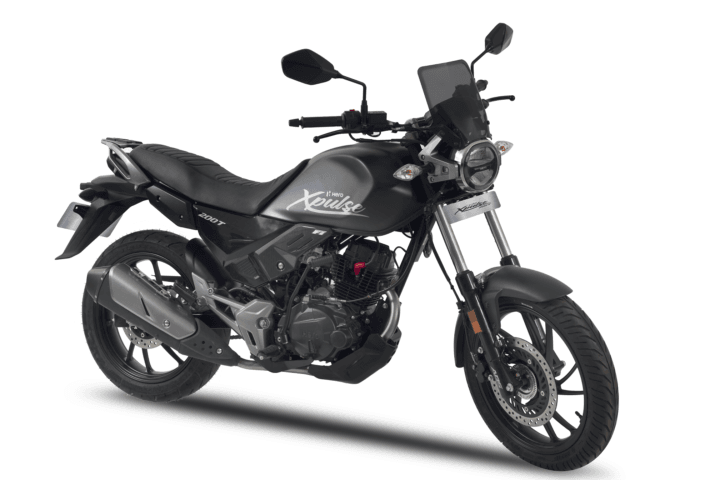 XPulse 200T has all the traits of a touring motorcycle. At the front, gets a smoked tall windscreen atop the LED headlamps. Instead of spoke wheels in Xpulse, Hero gives this bike black alloy wheels. 200T gets a sculpted fuel tank, showing off the premium touch. Other design highlights include engine belly pan, single seat, extended grab rail and the Xpulse inscription over the fuel tank. In one view, you can easily differentiate it from Xpulse 200. Xpulse 200 and 200T have been equipped with many latest feature upgrades, which are quite adequate as per its competitors. Many of the features are not found in Hero Xtreme 200R too. The dimension figures are not officially revealed yet. The ground clearance of the bike is around 190mm, which is around 30mm lesser than Xpulse 200. The kerb weight stands at 140 kgs, which is similar to that of Xpulse. Xpulse 200 and 200T both use the same suspension and braking setup. In the front, the touring bike uses conventional forks with long travel and Monoshock absorbers at the back. For braking purposes, it uses a 276mm disc with single-channel ABS setup. At the rear, it uses a 220mmmm disc brake. As of now, there is n near touring bike in that range. Touring bikes usually get a lower height and slick tires, for perfect grip on the road. ADV bikes and Touring bikes are not very different from each other. So if we see, Xpulse 200T also competes with Royal Enfield Himalayan. In this price range, bikes like TVS Apache RTR 2004V and Bajaj Pulsar NS200, compete with XPulse, because of a similar price range. LED headlamps, a tall windscreen, engine skid plate, fully digital instrument cluster, Engine Kill Switch, GPS navigation assist on the cluster and ABS.